Posted 8:00 AM by Marketing & filed under Services, What's New. With temperatures climbing so are the number of animal deaths inside vehicles. Posted 8:00 AM by Marketing & filed under Day Care, Services, What's New. Every year in the U.S., large numbers of pets suffer brain damage, heat stroke, or death when left in cars. 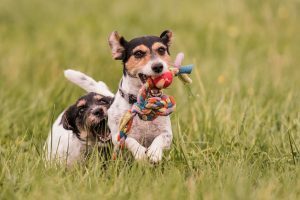 Stay-N-Play Pet Ranch offers Day Care Services to help ease your mind when running around town to do errands. Our Day Care Service is customized to fit your pet’s needs.